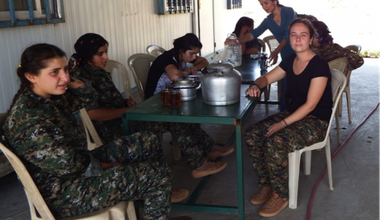 Kimmie Taylor joined Kurdish forces known as the YPJ in March last year. She is the first known woman from the UK to successfully travel to Syria to join the fight against Daesh. What is the reality of war like for the women of Rojava as they advance on Raqqa? Kimmie Taylor from Britain is on the frontline and puts us in the picture.